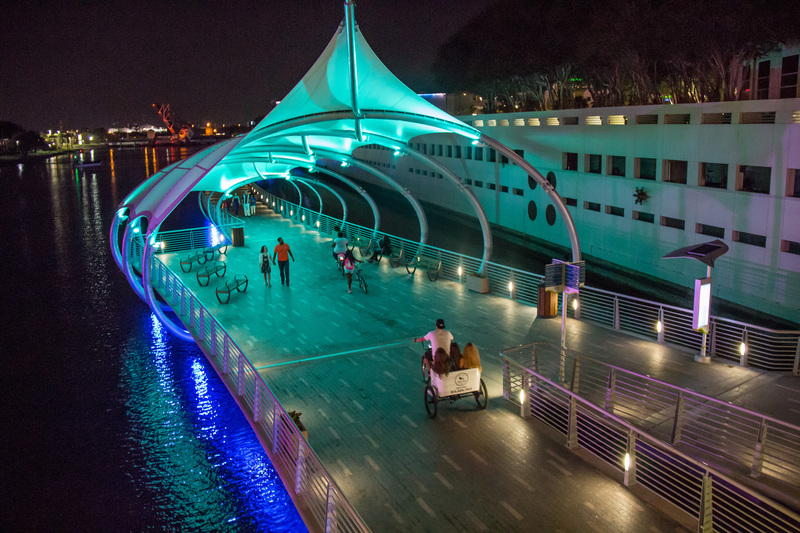 Over the past fifteen years the Tampa Riverwalk expanded to connect adjacent parks, invite additional amenities, and as a result, this popular public space has become a major attraction for the city. 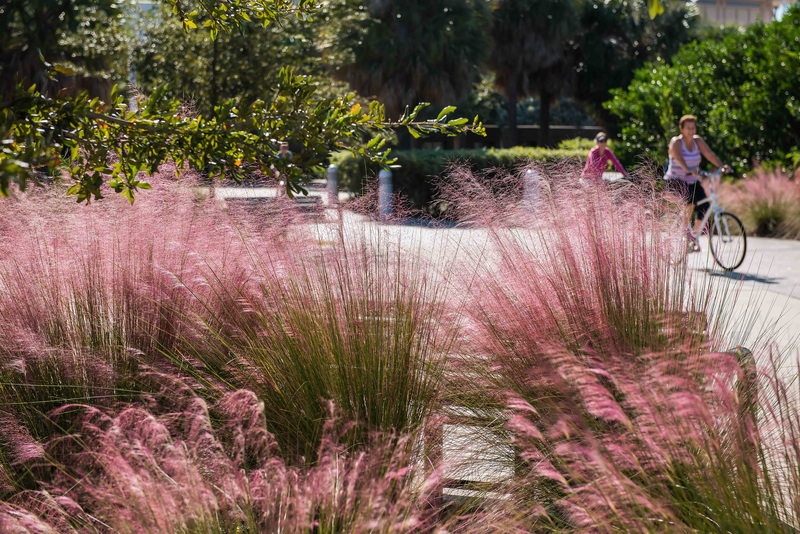 The Riverwalk is now a 2.4 mile linear park that connects seven major waterfront parks and a number of cultural institutions along the Downtown Tampa Waterfront, where the pedestrian and cyclist friendly design provides adequate space for a range of activities. As a collective effort between private and public sectors, an operation has been established that manages programming, security, and staffing - which is essential to the success of a waterfront. 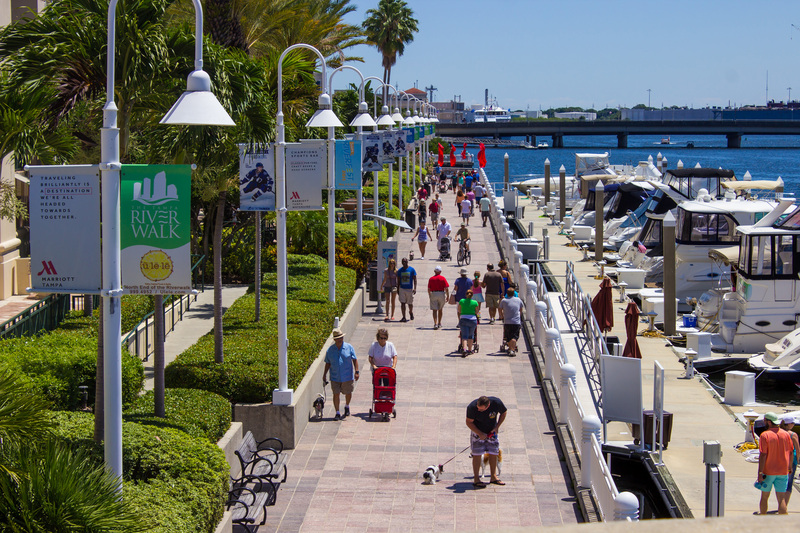 Tampa’s Riverwalk attracts a diverse audience since it incorporates a range of restaurants, cultural institutions, hotels, a convention center, and even a dog park. There are also several temporary features along the Riverwalk, such as food trucks and public art installations, as well as a range of unique features, such as the restoration of Ulele (a natural spring), nighttime entertainment like concerts and live screenings, and a splash fountain for children. The seven waterfront parks attract a significant amount of people throughout the day and evening, when much of the Riverwalk lights up. Its connectivity to the downtown neighborhoods is key for tourists, while also allowing convenient use for locals. Patrons use the Riverwalk as a passageway to travel to numerous waterfront destinations, and it is also used by the community for daily exercise and social gathering. Tampa Bay's waterfront, set along a portion of the 54 mile long Hillsborough River, was historically an industrial port. As a project that has slowly been carried through with six mayors, this entire area of Tampa Bay has witnessed significant redevelopment, primarily with the waterfront being opened up to the public after the concept was initiated nearly forty years ago. 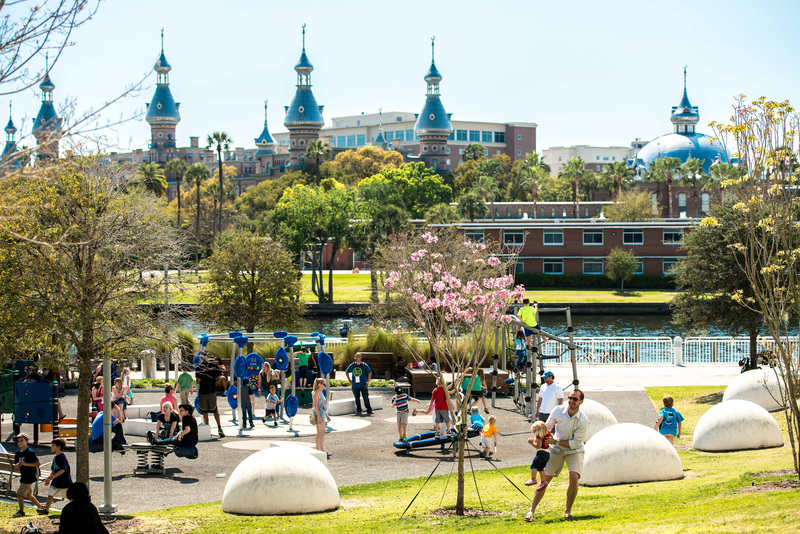 Though the Tampa Riverwalk took years to redevelop, major parks were established first along the downtown channels and river, where they soon became major destinations for community gatherings and general public open space.